Pomp, Newt and Chickens | When Do They Serve The Wine? I don’t draw chickens much, and I certainly know very little about them. But any animal is material for a cartoonist’s muse–we can plug any idea into any situation. Roosters, from my perspective, are comical. All bravado, swagger, pomp. Does that sound like anyone–ahem–cough–cough, NEWT, cough–we know? 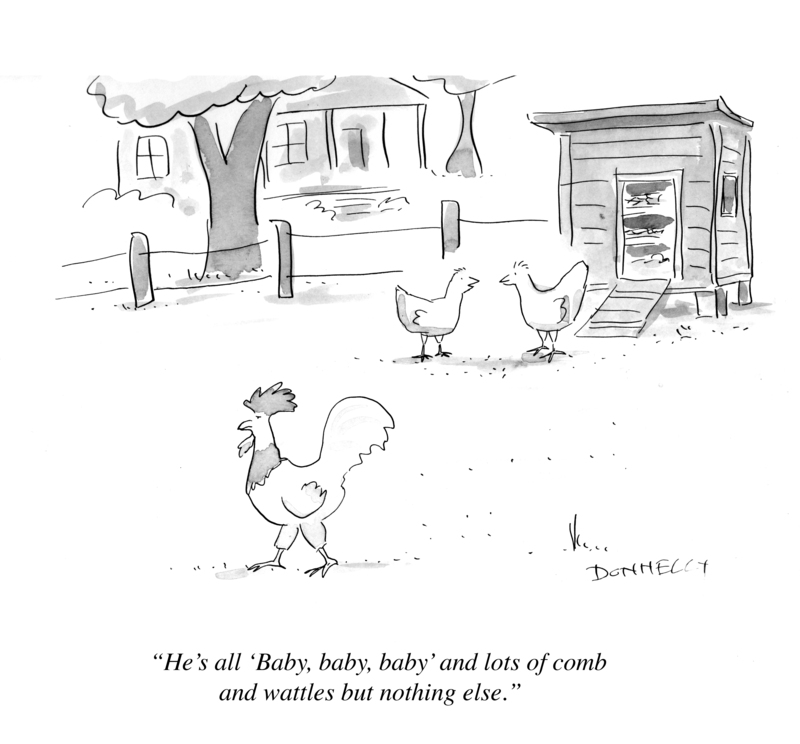 This entry was posted in Random but Relevant and tagged Cartoon, chickens, Newt Gingrich, roosters. Bookmark the permalink. Nice rooster! You managed to capture a certain roosterness. I love roosters. I collect them. (Not real ones: weathervanes, old prints, sculptures, etc.) Weird? Yes. But somebody has to do it. Roosters just do their natural rooster thing, and they are most definitely comical. But do they deserve to be compared to Newt-sters? I think not. You might be hearing from the Rooster Anti-Defamation League (RADL). Thanks, Rob. Yeah, I didn’t actually think of the feelings of roosters, when perhaps I should have. My apologies to all you wonderful birds….you can’t help the way you are. Unlike some humans we know!